In addition to yesterday's news that they'll be selling Apple products starting in 2013, T-Mobile also announced it is shifting to an unsubsidized "Value Plan" system exclusively. The company says customers will be able to either pay full price for cell phones up front, make an initial ~$99 payment and finance the rest with a number of $15 to $20 monthly payments that are explicitly spelled out on their bill, or bring in their own unlocked device. About 80% of T-Mobile's activations are already for their current Value Plans, which offer price savings on customers' monthly bills if they purchase a phone outright or bring their own device to T-Mobile's network. It remains to be seen what kind of savings they're prepared to offer compared to comparable plans from rivals offering subsidized phones. If they can offer direct financing on flagship handset like the iPhone 5 and Galaxy S3 the company will effectively workaround a barrier that less expensive regional or bargain prepaid service providers face -- that big one-time hit for the full price of a phone. In practice, that extra $15-$20 tacked on your bill will likely work out to about the same you pay at another carrier with a subsidized phone, only there's more transparency in T-Mobile's approach and you'd actually stop paying that fee once you have effectively met the phone's cost. The decision to ditch subsidies will cut upfront costs for T-Mobile. Although value plans will earn them less revenue, the company hopes to make up the difference in customer volume, loyalty, and possibly plan upsales. 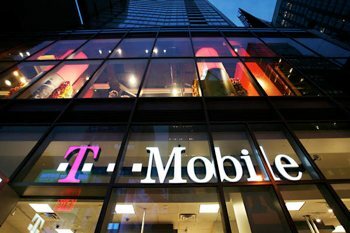 Besides the potential longer-term savings for customers, T-Mobile hopes to woo customers frustrated with restrictions on upgrades in longer-term contracts. The company says customers would be able to trade in their phone for 'fair value' at any time if they wanted to upgrade to a new device.